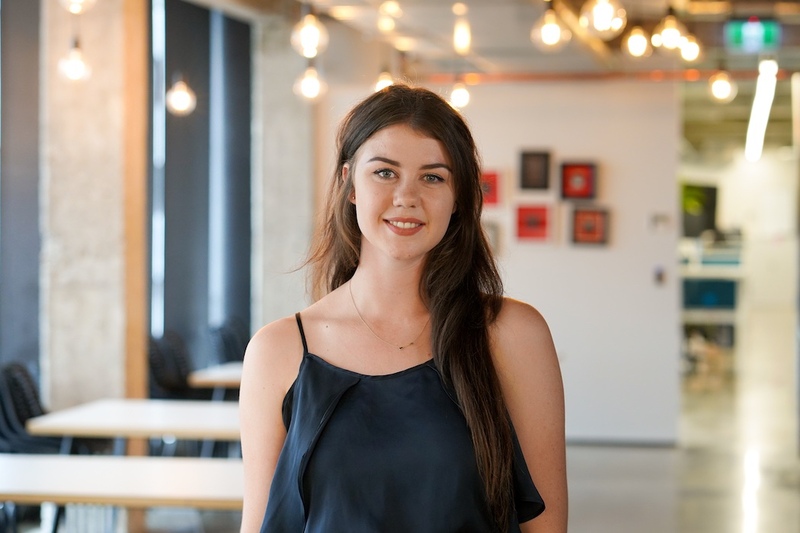 Meet Hannah, our newest Digital Marketing Specialist! Her fantastic attitude and larger-than-life personality make her a great addition to our team. Whilst studying Marketing and Digital Business at University I discovered my passion for using my creativity to help grow brands and give them a voice through digital platforms. The position at Neon Hive was a perfect fit for my career goals which is why I am sincerely excited about taking on this role! My second reason is the values and direction of the company and team. Jonathan is someone who is an extremely motivated and determined individual who has accomplished so much and I'm excited to be part of a team that is constantly aiming for the top. What aspect of working with us are you most excited about? The flexibility and diversity of the role would have to be the number one thing I’m most excited about. As every client is different, no one day will be the same. This will not only make the job interesting but also enable me to continuously learn and improve my professional skills and knowledge. I’d have to say... determined, reliable and analytical. I recently finished Way of the Wolf by Jordan Belfort which was in fact recommended to me by Jonathan who has a collection of books that I’m hoping to continue to chip away at. The book demonstrates the importance of sales skills, whether it’s in work or your personal life and was full of great tips and tricks. I love these types of books as they are not only inspiring and motivating, but also a way of self improvement. I have been to China five times, and in total spent approximately six months living there. The first trip to China was due to an opportunity to represent New Zealand in an international competition three years ago. After competing I ended up making multiple great connections and travelled back for reasons such as contracts, judging, and marketing jobs. Okay, I can’t pick between these two. Gary Vaynerchuk’s assistant (who is an entrepreneur, speaker, hustler). I know you’re thinking, ‘why assistant? !’ But Gary is an extremely inspiring and insightful person who I’d be eager to spend the day with to learn and gain knowledge from. Jeff Bezos (founder, CEO and president of Amazon). After Forbes published that Jeff’s net worth is 131 billion, I’d lock him in as being a tempting option. Then the next day’s headlines would read ‘Jeff Bezos gives huge donation to an unknown person.” I’d then be financially set for life. Oh, I love a VERY hot cappuccino… The bigger the better! We're always on the look out for great talent! Check out our current vacancies.